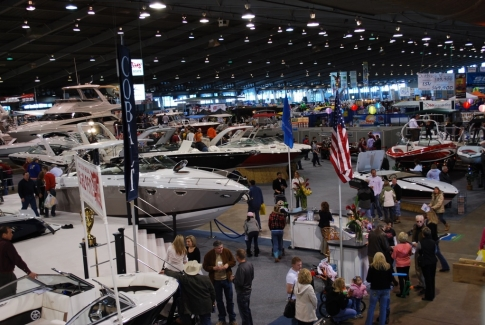 Mark your calendars for the 2019 Tulsa Boat Show! The event is a great way to jump-start planning for the new season ahead. The boat show is scheduled for January 28th through February 3rd. The show will be bigger this year and even better than years past. More brand displays will be offered over the seven-day event. Hundreds of products will be available for the view along with the latest fishing boats, pontoons, yachts, trailers, and more. Monday, January 28 (VIP Preview Night) 5 p.m. to 9 p.m.
Tuesday, January 29 – Thursday, January 31 from 12 p.m. to 9 p.m.
Friday, February 1 from 12 p.m. to 10 p.m.
Saturday, February 2 from 10 a.m. to 10 p.m.
Sunday, February 3 from 11 a.m. to 5 p.m.
First Responder Day Tuesday – half price until 5 p.m.
Veteran’s Day Wednesday - half price until 5 p.m.
Senior Day Thursday – 60 years old and up, half price until 5 p.m. Teacher Appreciate Day Friday - half price until 5 p.m.